Huawei celebrates the season with the Huawei#MakeSnowPossible Christmas Grand Promotion. Get free gifts with select Huawei devices. Christmas is almost here. Aside from the holiday cheer, it’s also the time for Christmas promos. And here’s another one from Huawei Philippines. Now is a good time to get a Huawei smartphone. 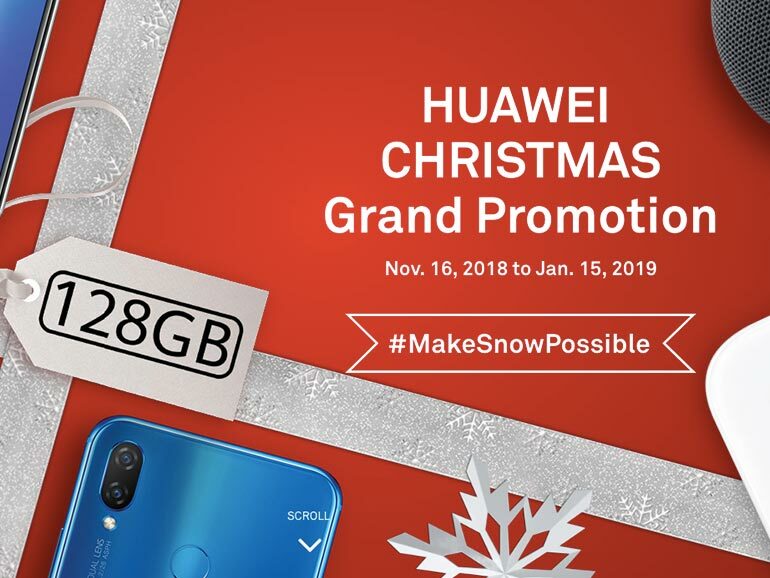 Starting November 16 until January 15, 2019, Huawei celebrates the season with the Huawei Christmas Grand Promotion. Every purchase of select Huawei devices will come with get you free gifts. The best handset on the list is the Huawei Mate 20 Pro. Retailing for PHP49,990, you get a lot of value for the price. It comes with a 6.39-inch OLED display, a Kirin 980 processor, 6GB RAM, 128GB storage, 3D face recognition, and an in-display fingerprint scanner. You also get a 15W wireless charging support, reverse wireless charging, a 4,200 mAh battery, and 40MP + 20MP + 8MP triple cameras. On the other end of the price range, you have the budget Huawei Y6 2018. For PHP5,990, you get a 5.7-inch HD S-IPS display, a Qualcomm Snapdragon 425 processor, 2GB RAM, and 16GB of expandable storage. The handset comes equipped with a 13MP rear camera with PDAF and a LED flash. While the front camera has a 5MP sensor and a LED flash. 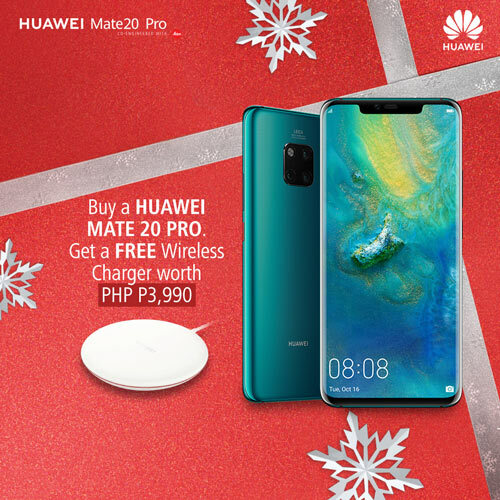 For more information about Huawei Philippines’ Christmas promos and other activities for the holidays, you may visit their site HERE.